We have been honored to be joined by a variety of guests: podcasters, theologians, gun-rights advocates and industry experts. Ralph Abernethy III is a native of Drexel, North Carolina and received his Masters Degree from Ft. Wayne Theological Seminary in 1996. Since 2001 he has been the sole pastor at Mt. Olive Lutheran Church in Newton, North Carolina where I was honored to serve as Congregational President and member of the Board of Lay Ministry. He catechized and confirmed my son and baptized my daughter and so will always have a special place in my heart. Pr. Abernethy was a guest on episode 43. 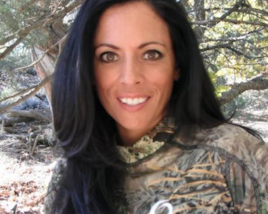 Mia Anstine is a certified firearms and archery instructor, a hunting guide, writer, and speaker. She is the co-owner of Wolf Creek Outfitters who blogs and records videos about exploring the modern Wild West. When she's not writing, speaking or teaching, you can find her fishing, hunting, or leading hunts for turkey, Elk, and black bear 200 days a year. Mia lives in Western Colorado with her husband and daughter. 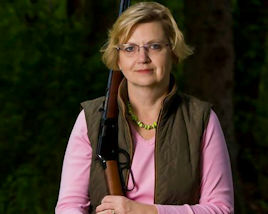 She is also an armed Lutheran and only the third woman to appear on the cover of Field & Stream magazine. Mia was a guest on episode 28 and is now a regular contributor to the show. Lucas Apps started blogging and podcasting about competitive shooting at triangletactical.net back in 2012. He's a concealed carrier, competition shooter, and outdoors enthusiast. I do most of the blogging at Triangle Tactical, as well as host the podcast. Triangle Tactical is a blog and podcast serving the North Carolina Research Triangle and beyond with firearms and outdoors news, self defense, and competitive shooting content. Lucas was a guest on episode 105. For over 20 years, Rev. Kenn Blanchard has been a tireless advocate for our Second Amendment rights. He has worked with the NRA, SAF, and GOA. He has spoken before congress and before numerous state legislatures. He has served our nation as a member of the US Marines and worked for a secretive government agency-that-shall-not-be-named. He is a firearms instructor, a pastor, a podcaster, and our brother from another mother. 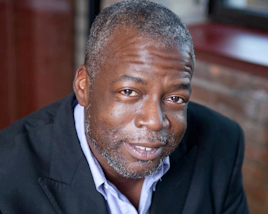 Kenn has been the host of the Black Man with a Gun podcast, since 2007. Kenn appeared as a guest in episode 15. 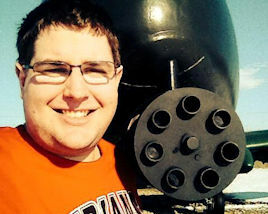 Jonathan Braaten of Saginaw, Michigan, is the defending Champion of The Armed Lutheran Gun Trivia Quiz and guest reviewer. Jon has appeared as a guest in episode 17 and episode 31 and played a role in our 2017 Christmas Story episode. Ben Branam is a California native turned Texan, Marine Corps veteran, veteran of Operation Iraqi Freedom, and firearms instructor. He is the host of the Modern Self Protection podcast and teaches firearms classes all over the country, often teaming up with Bob Mayne of the Handgun World Podcast. Ben appeared as a guest on episode 93. 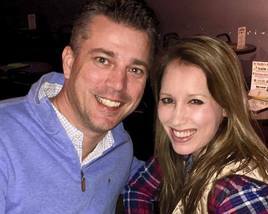 Patrick and Cassie Coburn are the husband and wife team who founded Guns4Gals, a specialty firearms boutique in McKinney, Texas. Before they started the company, they both worked late hours in the restaurant industry. When a friend of was robbed at gunpoint while leaving work they decided it was time to protect themselves. They quickly found out how unfriendly gun shops can be for a woman looking for information and to buy a gun. Since they couldn't find a place where they both felt welcome they decided to create a place with a more welcoming environment. Cassie and Patrick were guests on our 2016 Christmas Wish List episode and our 2017 Christmas Wish List episode. Bob Cook is the founder and President of Cook's Holsters, a custom holster maker based in Georgia. In 2012, after struggling to find a holster he liked, Bob put his 25-years of experience as a mechanic to work to come up with a solution. That holster, which eventually became his Inside The Waistband holster, caught the eye of the local gun range and soon Bob was making holsters and selling them in his spare time. He was soon hiring employees and moving to a dedicated space to meet demand. Cook's Holsters now ships hundreds of holsters every week all over the country and they have a worldwide exclusive license to print True Timber, Realtree, Kings Camo, and Mossy Oak camo on thermal-formed PVC. Their subsidiary, Cook's Gun Molds, also sells prepped gun molds for smaller holster makers as well. Bob was a guest on our 2016 Christmas Wish List episode and our 2017 Christmas Wish List episode. 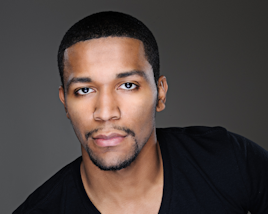 Charlie Cook is a graduate of the Berklee College of Music with a degree in Music Education. 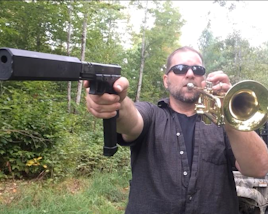 He teaches instrumental music at several schools in the Boston area. He is also the CEO and lead instructor of Personal Shooting Instruction and the creator of the popular Gun Gram videos seen on YouTube. He is also the host and producer of the Riding Shotgun with Charlie channel on YouTube. Charlie was a guest on episode 98 and our 2017 Christmas Wish List episode. John Correia is the owner and founder of Active Self Protection in Phoenix, Arizona. He is a teacher, a pastor, an evidence-based self-defense instructor and martial artist. He also hosts a series of YouTube videos that take self-defense stories and teach valuable lessons. John was a guest on episode 39. 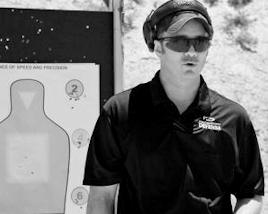 Grant Cunningham is a Personal Defense Network contributor, an instructor, an author and one of the foremost authorities on the defensive revolver. 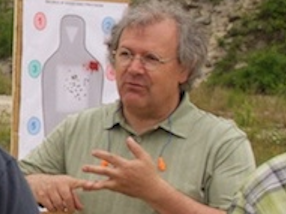 He is the author of several books about revolvers and self-defense. Grant was a guest on episode 83. 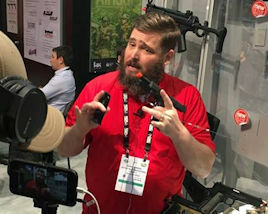 Matthew Disher is the host and founder of the American Guns Podcast. He is married with no kids and loves to spend his time at the gun range or riding his Yamaha R6. He is a Christian conservative, and is one of the very few public school teachers in America that does not bow at the altar of the Democratic party. During his time studying at university, he experienced the insanity of the Left’s ideas in the social sciences and gave all of his anti-gun professors a hard time. After graduating, and especially after reading an article about banning muzzle-loaders, he decided to do something about the anti-gun nonsense that is poisoning America. 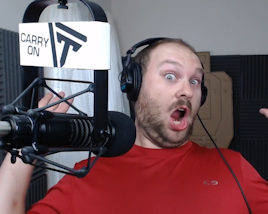 He started the American Guns Podcast in November of 2017. Matt was a guest on episode 133. Brian Duff is the go to resource for concerned people who want to improve their safety, security and preparedness. He is a proud former Army Ranger, Paramedic, Firefighter, High Threat Security Specialist, International Security Director and Tactical Training Director who has served and protected people around the globe for decades. Brian was a guest on episode 135. 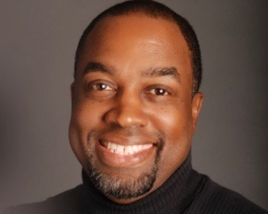 Rick Ector is a Keynote Speaker, Expert Witness, Author, Trainer, 2A Advocate, Freelance Writer, and Consultant and owner of Rick's Firearm Academy of Detroit. He became a National Rifle Association (NRA) credentialed Firearms Trainer after being robbed at gunpoint in his own backyard. Rick was a guest on episode 90. Dr. John Edeen is an orthopedic surgeon in San Antonio, Texas. He received his medical degree from Columbia University College of Physicians & Surgeons and has been in practice for more than 30 years. Dr. Edeen was a guest on episode 95. 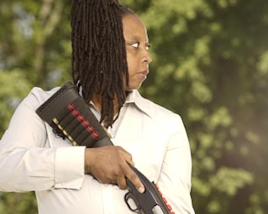 Rhonda Ezell made history in the United States of America as the lead plaintiff in a federal lawsuit against the city of Chicago to bring gun ranges to the city of Chicago for law abiding citizens. A ruling in her favor was issued by the Seventh Circuit Court of Appeals on July 6, 2011, overturning a lower court decision. Rhonda is a life-long resident of Chicago's south side, and is the founder of Chicago Guns Matter, fighting to expand gun rights in the Windy City and to educate citizens about how to exercise their rights. Rhonda was our guest on episode 70. 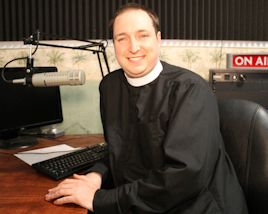 Evan Goeglein serves as Pastor at Faith Lutheran Church in Rogue River, Oregon and is the co-host of the long-running theological game show podcast Table Talk Radio. Pr. Goeglein was our guest on episode 30, episode 32, and episode 66. “Doctor G,” Brett Grayson, is a history teacher in Houston, Texas. He has enjoyed learning about guns since his first clay shoot at Boy Scout camp in 1996. Brett is evangelistic about hearing and eye protection, and takes pride in being known as a “gun guy”! Brett was our guest on episode 136. Greg Hopkins received his first firearms training as an auxiliary police officer in his hometown of Waverly, Ohio, where he served on the city council. He earned his law degree at The Cumberland School of Law in Birmingham, Alabama, and served there as a City Magistrate. He clerked at the Alabama Court of Criminal Appeals, was admitted to the bar in 1989, served as City Prosecutor for Huntsville, Alabama, and trained the Huntsville Police Department in legal use-of-force. 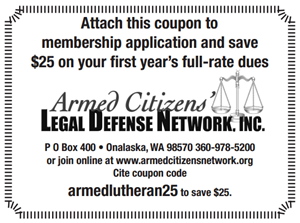 He practiced criminal defense law, served as a City Court Judge, and became a court-certified expert witness in firearms and self-defense law. Greg regularly consults on self-defense and firearms cases to analyze and reconstruct crime scenes. 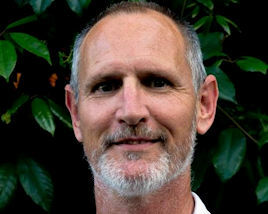 He is a nationally certified instructor in Use-of-Force and Pepper Spray, a certified NRA Pistol Safety and Personal Protection Instructor, and is the author of the book “A Time to Kill: The Myth of Christian Pacifism.” Greg was our guest on episode 38. 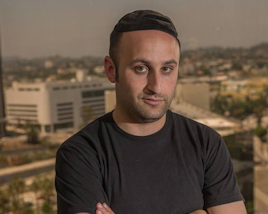 Aaron Israel is an eight-year veteran of the United States Army with experience in Psychological Operations on the enlisted side and as a Captain in the Field Artillery branch on the officer side. Aaron graduated from the University Of Oklahoma in 2007 with a degree in Finance and immediately went on Active duty. He deployed to southern Iraq in support of OIF in 2008-2009 with 4th Brigade, 1st Cavalry Division. 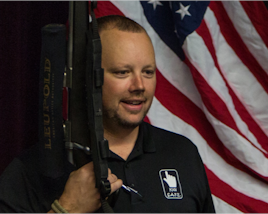 He left the service in 2011 and now works full-time in the oil and gas industry and founded Fundamental Defense to teach defensive firearms classes. Aaron was a member of the Armed Lutheran Radio cast from episode 8 to episode 137. 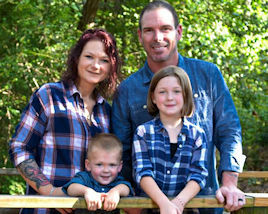 Aaron lives in Willow Park, Texas with his wife Stacey and daughter Savannah. Ray Keating is an economist, a columnist with realclearmarkets.com, a former weekly columnist with Long Island Business News and Newsday, and a former adjunct college professor. His work has appeared in the New York Times, the Wall Street Journal, Washington Post, National Review, and Investor's Business Daily, among others. 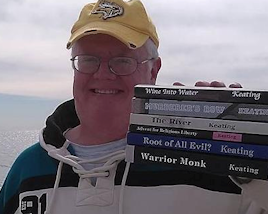 He is the author of the Pastor Stephen Grant series of action thrillers. He joined us on episode 81 to talk about his books. 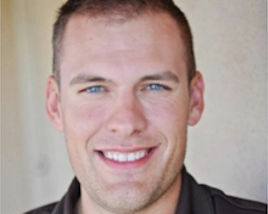 Aaron Kreag is a regional sales manager for a Dallas area software company. He is an eight-year veteran of the US Army where he served as a combat medic. He also spent time in Iraq with a British private defense contractor. He is a Texas LTC holder and in 2014 he used his firearm to save the life of a woman who was the victim of a violent assault. He joined us on episode 64 to share his story. 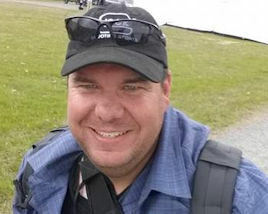 Derek LeBlanc is a firearms instructor who began developing the Kids Firearm Safety Program in late 2014 with the goal of educating families by taking the novelty away from firearms, encouraging dialog within the home, and identifying proper handling and secure storage. This program is like no other in the country. Derek is working to teach in local schools similar to fire or water safety courses. Derek was our guest on episode 91. Willes Lee is a member of the NRA Board of Directors and President of the National Foundation of Republican Assemblies. He was a co-Chairman of the Trump-Pence Second Amendment Coalition leadership team. In 2016, Lee was nominated to the NRA Board of Directors and moved to the Board in January 2017. He graduated from the United States Military Academy (USMA) at West Point and became a Ranger and Airborne qualified Armor officer. He is a 22-year veteran of the Cold War on the Czechoslovakian border, the fight against terrorism in Europe, Operation Desert Shield and Desert Storm, and five years with the Joint Chiefs of Staff in the Pentagon. His service awards include the Defense Superior Service Medal for national operations, the Bronze Star Medal for combat performance, and the Legion of Merit for combating terrorism. Lt. Colonel Lee was a guest on episode 97. Remso W. Martinez is a independent journalist, new media producer, and Amazon bestselling author living in the D.C. area. 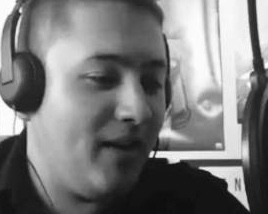 Remso is best known for his podcast the Remso Republic, a member of the Self Defense Radio Network. His articles have also been featured and cited by numerous sites such as The American Conservative, FreedomWorks, The Libertarian Republic, TheBlaze, and RedTea. In June of 2018, Remso published his debut book “Stay Away From the Libertarians!” which shot up to as high as #10 on the Amazon Bestsellers list for political humor during its release week. Remso is the owner and head instructor of Champion Pundit Academy, teaching individuals how to amplify their brand and expertise. 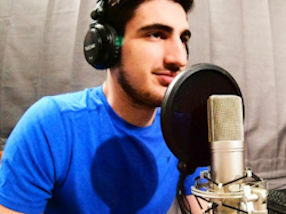 Remso was a guest on episode 129. Bob Mayne is an avid competitive handgun shooter, private citizen, modern survivalist and believer in the individual right of the 2nd amendment. 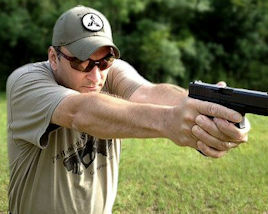 He has taken over 180 hours of defensive handgun training and is a TX DPS Certified LTC instructor. 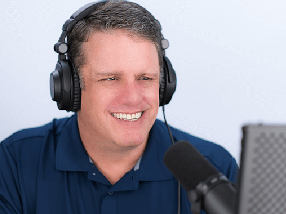 He is an every day guy and an eternal student of the gun and the founder and host of the Handgun World Podcast and co-founder of the Self-Defense Radio Network. Bob was our guest on episode 42. Rob Morse is a co-host on the Polite Society Podcast and the host of the Self-Defense Gun Stories podcast. He also blogs at the Slow Facts blog. Rob was our guest on episode 40 and played a role in our 2017 Christmas Story episode. 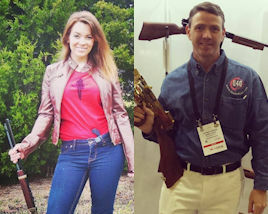 Mrs. Armed Lutheran is a North Carolina native who did not grow up around guns but is well on her way to becoming a “gun girl” now that she lives in Texas. She's a school counselor, mother of two, and the wife of The Armed Lutheran for over 23 years. She appeared for the first time on episode 53. Born in LA. Lived in Israel. Life-long history enthusiast. Believer in Chivalry. Serious and Dedicated. Fun and Personable. Passionate about love and romance. Open. Kind. Thinker. Pushed to tell the true story. Gorilla Friendly. John Wayne devotee. Father. Husband. Son. Brother. 2nd Amendment Advocate. Troop supporter. Adopted Texan. Patriot. American. 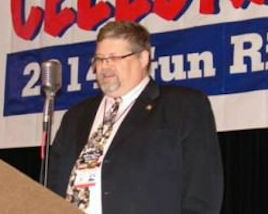 Author of the children's book Safety On: An Introduction to the World of Firearms for Children. Yehuda was a guest on episode 77. 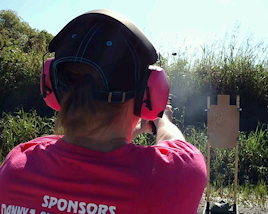 While hosting NRATV’s NOIR and Pursuit Channel’s GUNTV, Amy's passion for firearms grew along with her desire to see women everywhere live a confident, self-reliant lifestyle. After obtaining a license to carry in order to be able to train for a marathon wherever she wanted without fearing for her safety (and look great while doing it ), Amy created Alexo Athletica because no product existed on the market that would meet her need to feel fashionable while carrying in active wear. Amy was a guest on episode 104. 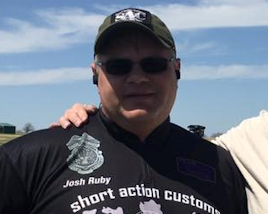 Josh (Jay) Ruby is a former member of the US Army Military Police Corps where he served as a Sergeant in the Traffic Accident Investigations Unit. He attended many investigations courses and is an Accident Reconstructionist. After separating from his service he began precision reloading and competing in F Class rifle competitions. Currently, he spends his free time shooting tactical/sniper matches and long range hunting. He is a member of the Precision Rifle Series and shoots for Team Short Action Customs and is the owner of North Texas Rifle Precision. Josh was a guest on episode 14. 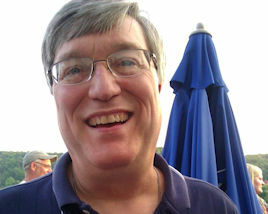 Dr. Ken Schurb has been the pastor at Zion Lutheran Church in Moberly, Missouri since 2002. 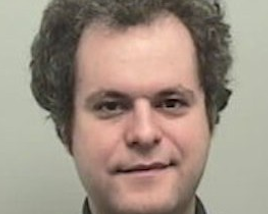 He has a PhD in History from Ohio State University and is a regular guest on Issues, Etc. He is the author of the Bible study “Called to Vote: A Christian's Approach to Elections,” available from Concordia Publishing House. Dr. Schurb was our guest on episode 41. Born in Lebanon and raised in the Muslim faith, Hesham Shehab joined the Muslim Brotherhood as a teenager and took up arms against Christian militias in Lebanon's bloody civil war. 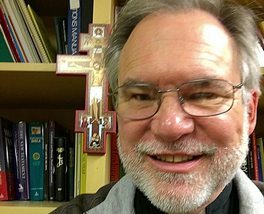 Through the work of the Holy Spirit, he questioned his faith, came to faith in Christ Jesus, and moved to America where he went to seminary and was ordained an LCMS Lutheran Pastor. 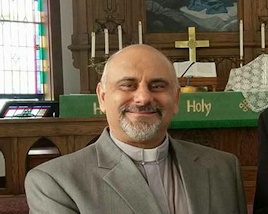 Pastor Shehab was a guest on episode 89. Sergey Solyanik is the Owner of Precise Shooter, a gun shop in Seattle, Washington, forced to move by the city's “Gun Violence Tax” in firearms and ammunition sold within the city's limits. Educated at the Moscow Institute of Technology, Solyanik is a Microsoft software developer and a gun store owner. Mr. Solyanik was a guest in episode 2 and episode 3. Amanda Suffecool is a firearms instructor at Targething Firearms Academy, and the Co-Host and Executive Producer for Eye on The Target Radio. She is the founder of the REALIZE Firearms Awareness Coalition and host and creator of the Concealed Carry Fashion Shows, seen at the NRA Carry Guard Expo and USCCA Expo in 2017. Amanda was a guest in episode 96 and episode 164. Dan Todd & Cheryl Todd, the hosts of Gun Freedom Radio, are small business owners with over 60 years of combined experience, they have been married for 30 years, are parents and grandparents. 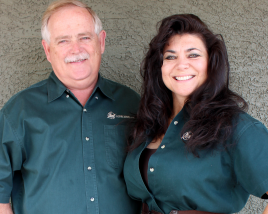 Danny and Cheryl Todd are the owners of AZFirearms and Danny is also a Gunsmith. From these life experiences they bring a unique perspective to the world of Gun-Rights and the need to speak into the next generation of American Citizens. Join us as we interview experts in their field, discuss new products, examine news articles for media bias, help cut though the political doublespeak, talk about gun safety and even provide answers to questions about YOUR firearm from a skilled Gunsmith! They both were guests on episode 131. Brandon Warr is the host of the War Zone Radio Podcast where he fights the Culture War on two fronts: Information and Entertainment. Everything from Movies to regressive SJW Marxism, we look at them all and often even laugh at some of the craziness. War Zone Radio covers Movies and Media, examining Pop-Culture from a Biblical perspective, highlighting themes and celebrating artistic integrity. War Zone T.V. on YouTube is a Marriage of Radio and Television providing a commentary on the Culture at large. Everything from Twitter trends to Radical feminism and the sad state of the modern Church. Brandon was a guest on episode 33. Dressed in a Santa suit after a long night working at a Christmas party, Marcus and a friend had an encounter with two men at a gas station that has changed his life. After being shot at by two men, Marcus was forced to use deadly force of my own. Even though he was legally licensed to carry a gun, he was treated like a criminal and called “The Santa Shooter.” The story made national news when he was first arrested. After almost two years of public scrutiny and house arrest, Marcus was finally found not guilty on seven felony counts, including attempted murder. Marcus was a guest on episode 71. 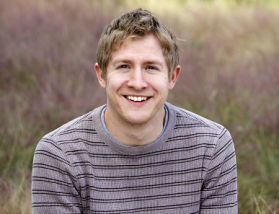 Bryan Wolfmueller has served as the pastor of Hope Lutheran Church in Aurora, CO since June of 2005. 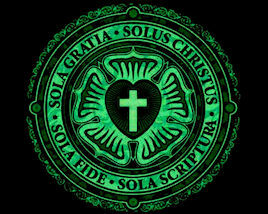 He received his Masters of Divinity from Concordia Theological Seminary in Fort Wayne, IN in the spring of 2005. 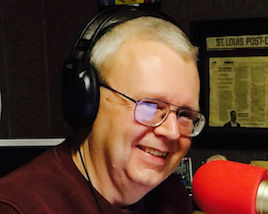 He is the co-host of Table Talk Radio, a weekly theological game show which teaches Lutheran doctrine and the proper distinction between law and gospel. 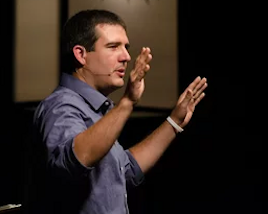 He produces a number of devotions and Bible Studies in print and video format and is frequently interviewed on several Christian talk shows including the nationally syndicated radio program, Issues Etc. He and his wife Keri have four children, Hannah, Andrew, Daniel, and Issac. Pr. Wolfmueller has been a guest on episode 17, episode 21, and episode 24. Eric Woodward is the owner of 199Trust. Since 2012 his company has successfully completed over 20,000 firearms trusts with no denials or delays by the ATF. He is also a partner in the newly launched Rebel Silencers, which offers a 22 LR silencer for just $99. Eric was a guest on episode 22.